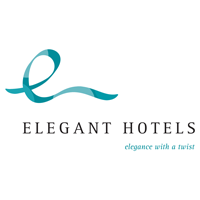 Elegant Hotels Group plc (LON: EHG), the owner and operator of seven upscale freehold hotels and a beachfront restaurant on the island of Barbados, today announced its audited results for the year ended 30 September 2018. * The Group uses adjusted EBITDA as a measure of performance as it better represents underlying performance. Adjusted EBITDA is earnings before interest, tax, depreciation, amortisation and one-off costs that are outside the ordinary course of business. Adjusted profit and adjusted EPS reflect the adjusted EBITDA figure. Comparative figures have been re-presented to include non-exceptional share-based payments in line with best practice. “We are pleased to have had a year of good financial and operational progress. The revenue increase reflects our strategy of delivering day-to-day excellence, developing our existing properties, and expanding our portfolio. The acquisition, refurbishment and subsequent relaunch of Treasure Beach in Barbados was a notable highlight, and since the year end Hodges Bay Resort & Spa in Antigua has opened under management contract. Recent data from the Barbados Tourism Marketing Inc shows that between January and October 2018, Barbados recorded over 540,000 visitors staying on the island, an increase of 3% on the prior period (2017: 6%). US visitors represented the strongest area of growth in this period with an increase in visitors of 9% (2017: 14%), accounting for circa 30% of all visitors to Barbados, while the 32% of visitors arriving from the UK grew by around 1% (2017: 1%). However, those UK visitors continued to spend more due to their longer average length of stay. The increase in US arrivals was partly due to increased airlift (with additional flights from both Miami, Florida and Charlotte, North Carolina) providing even greater connectivity between Barbados and this strategically important market. In the UK, following the success of its additional direct daily flight from Heathrow over the 2017/18 peak season, Virgin has resumed this service for the 2018/19 peak season. In addition, a new air route from Panama commenced in July 2018. The Sterling/USD exchange rate continues to affect the Group. Our rates are priced in USD while the majority of customers are from the UK (around 76% on a room night basis). The increased cost of a holiday to Barbados for our UK guests inevitably affects demand and also impacts the rates that the Group is able to achieve. However, as outlined at our H1 2018 results in May, Barbados continues to be an attractive destination for UK travellers, and overall market conditions are stabilising. Its reputation as a safe country that is rarely affected by hurricanes allows it to be a year-round destination, as reflected by the solid H2 (low season) revenue performance for the Group. Barbados’ attractiveness does mean that we face competition on the island, especially in the all-inclusive segment, with new hotel openings continuing throughout 2018. This effect is partially mitigated by reduced room stock due to ongoing renovations as well as a slightly more difficult environment for new entrants due to the government changes outlined below. We continue to see a trend toward value accommodation, but the impact of this is being mitigated by increased airlift and visitor numbers to the island. In response to this growing competition, we continue to enhance and differentiate our properties and services. In addition, the increase in airlift and general profile for Barbados that results from the new competitive offerings represents an opportunity for the Group. On taking office in June 2018, the recently elected Barbados Labour Party reviewed the financial position of Barbados and determined that it was in a weaker position than previously believed. In order to improve the state of the country’s finances, foreign reserves and debt position, the government prepared a ‘mini-budget’ which sought to raise US$0.6bn over three years. Measures announced in the budget include an increase in taxes and levies which began to affect the Elegant Hotels Group from 1 July 2018. However, the Group has, with the help of its partners in the travel industry, passed the majority of these additional costs through to customers. Given the size of the new taxes and levies compared with the total cost of a holiday to Barbados, we believe the changes are at a level that the market will be able to absorb. We did not see a material impact of these changes on the results for the year to 30 September 2018 and , while we continue to monitor the situation closely, we do not currently believe that the outlook for the Group in 2019 and beyond will be materially affected. As part of the measures, the Government also currently plans to increase VAT for the tourism industry from 7.5% to 15% from 1 January 2020. This increase is expected to be offset by the reduction in other levies currently in place such as the room night levy (a charge on each night of accommodation) and the Direct Tourism Services levy (a 2.5% charge on all tourism services save rooms). The Group continues to work with the Government to ensure any changes in taxes and levies are appropriate for the industry. In the longer term, the Company is supportive of the Government’s plans to invest both in the tourism industry and the infrastructure of the island. Revenue for 2017/18 was $62.9 million, up 5% on the prior year (2017: $59.9 million). The increase was primarily driven by the addition of our recent acquisition of Treasure Beach from December 2017, our renovation of The House, and a continued strong performance from Waves. Occupancy fell in the period by 1.6 percentage points to 62.3% from 63.9%. However, excluding Treasure Beach, which was opened in December 2017 and missed the peak tourist season, the Group’s occupancy would have been largely consistent with the prior year. ADR improved $7 or 2% in the period from $354 to $361. This was largely driven by The House, following its refurbishment, and Waves, as it continues to gain popularity. There is currently a trend towards our all-inclusive properties as guests, especially those from the UK, look to lock-in the cost of their holiday. As in the prior year, the Group reviewed the pricing strategy for some of its properties in response to the weakening of Sterling. Rates were discounted on a targeted and tactical basis in certain cases in order to maximise occupancy based on the season. Targeted promotions were used to boost occupancy during slower periods. Over the high demand periods, our specialist US-based revenue team continues to be disciplined and cautious with discounting, leveraging both the Group’s excellent relationships with tour operators as well as its scale and its substantial share of available luxury rooms in Barbados. Daphne’s, our beachfront restaurant, had a mixed year in 2017/18. While performance was improved on the prior year when it was closed for a portion of the peak season due to renovations, the restaurant is underperforming due to increased competition. We are looking at new initiatives to improve its performance in 2018/19. We continue to focus on maintaining our strong relationships with tour operators, but are also increasing the direct business that we are attracting through our direct booking website. Reflecting this, the percentage of revenue from tour operators decreased from 80% to 78%. We are equally focussed on increasing our market penetration in North America, and have recently appointed a marketing agency in the US to help drive customers from this strategically important region. The percentage of customers from North America, based on room nights, increased to 20% from 18% in 2016/17. In the longer term, we are looking to attract more of the millennial segment which includes families and “double income no kids”, and for whom repeat visits are less common. These customers have been shown to value experiences and sustainability. Our property refurbishments therefore focus on appealing to this segment as well as our more established guest-type. In order to ensure all of our guests enjoy their stay at our hotels, we attach great importance to the training and development of staff. The Group has rigorous programmes in place which are key to improving its guest satisfaction scores, which in turn will encourage a high level of repeat business. During 2017/18, we delivered over 25,000 hours of training to our staff, compared to 18,000 hours in 2016/17. Our focus on training also creates confidence in our brand with travel agents and tour operators. Cost control continues to be a key focus for the Group. The increase and subsequent repeal of the National Social Responsibility Levy (or NSRL, a tax on most goods which was increased to 10% in the prior year and repealed in July 2018) has disrupted the costs of many goods. The majority of suppliers increased prices in excess of the NRSL increase, but these prices have yet to fall by the same level following the removal of the NSRL. In response to the NSRL increase, we streamlined and centralised our functions in order to achieve economies of scale. We also commenced direct importation of goods in the financial year and established a centralised warehouse in order to deliver savings on a large proportion of food and beverage items. This programme has been a success and we are looking to increase its use in the 2018/19 financial year. As stated previously, the programme is expected to save $0.5m annually. We have continued with our strategy of enhancing our portfolio by refurbishing, repositioning and repricing our hotels. These steps interplay to find the best combination of physical structure (refurbish), guest experience (reposition) and yield management (reprice). In addition to our regular capex spend of 3-4% of each hotel’s revenue, we spent approximately $2m on special projects. We started the year by completing the public area renovations and new spa at The House. These renovations enabled The House to deliver a 6% increase in EBITDA in the year. Additionally, we added a rum vault to Colony Club towards the end of the financial year. The rum vault is the first of its kind on the island of Barbados, featuring a collection of 150 rums from all over the world. It offers unique experiences such as rum pairings (with a dedicated rum sommelier) and multi-course dining options along with rum-themed mixology and cooking classes. In addition, we carried out renovations of some rooms and bathrooms at Turtle Beach and Crystal Cove, respectively. Several properties have not been refurbished for a number of years. Historically, the Group has been able to significantly enhance profitability of properties as a result of refurbishment programmes. We are currently reviewing our refurbishment plans to focus capital expenditure on the areas providing the most compelling return on investment. We are delighted with the renovation of Treasure Beach which opened in December 2017. The 35 all-suite hotel is located next to Tamarind Hotel on the west coast and now gives the Group almost 300 meters of continuous beachfront on the prestigious ‘Platinum Coast’. In Treasure Beach, we saw an underperforming hotel that could be refurbished, repositioned and repriced in line with our enhancement strategy. Prior to opening, we conducted a full renovation of the property to create a modern hotel that is focussed on art and food. Unfortunately, Treasure Beach opened later than originally anticipated due in part to extreme weather events in Miami that delayed imports of materials. This meant that it missed the peak tourist season and has therefore contributed less in 2017/18 than was previously anticipated. However, we expect the property to perform well as it becomes more established. Hodges Bay Resort & Spa, which we operate under management contract, opened in December 2018. This hotel is one of the best properties on the island of Antigua. As the Group’s first full management contract, and its first operation outside Barbados, we intend to use this as a template for further expansion in the region. Our sales and marketing contract in St. Lucia continues to perform well. There continue to be a number of compelling expansion opportunities in the Caribbean. However, the Board took the decision to strengthen our balance sheet during 2017/18 before expanding further. While further expansion in the Caribbean is key to the Group’s strategy, the Group was mindful of the impact that macro-economic issues – such as the recent change in the Barbados Government and Brexit in the UK – could have on the Group. It is likely that this approach will continue into the current financial year. Elegant Hotels set out its dividend policy in the prior year. The Board is recommending a 2.66p final dividend in line with that policy. This, combined with the 1.33p interim dividend we paid in July, gives a full year dividend of 4.00p per share. The final dividend is subject to the approval of the Company’s shareholders and will be paid on 8 March 2019 to shareholders who are on the register on 8 February 2019. During the year, David Adams stepped down from his role as Non-Executive Director and Chair of the Remuneration Committee. The Board is currently undertaking a search for an additional Independent Non-Executive Director with due regard to ensuring any new appointment contributes to the Board’s skills, capabilities, experience and diversity. As announced separately today, Jeff Singleton, Chief Financial Officer, has informed the Board of his intention to leave the Company. Jeff will remain with the Company for a period of time to ensure a smooth transition with his successor. As a result, Elegant Hotels has initiated a search for a new CFO and an appointment will be made in due course. Our trading since the start of the new financial year has remained in line with market expectations, and our bookings are currently tracking ahead of the same period last year. As a result, the Group remains confident in its prospects for FY19. However, the Board continues to monitor macroeconomic conditions closely, which have the potential to reduce UK consumer discretionary spend.